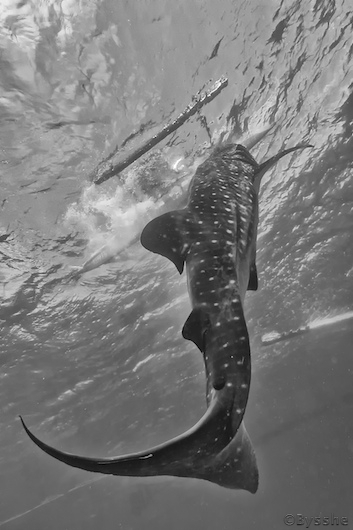 When we planned our dive photography trip to Dumaguete in the Philippines, whale sharks were not on the wish list. 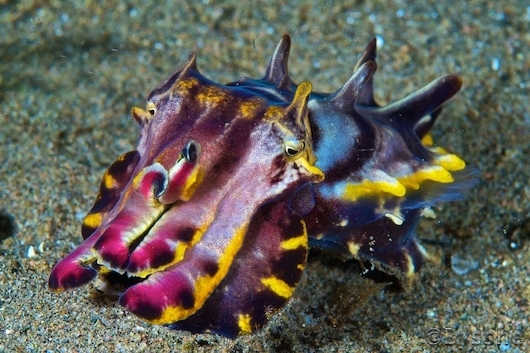 They did, however, turn out to be an added bonus to an amazing dive destination. The Atlantis Dumaguete Resort is on the Philippine Island of Negros (one of some 7000 Philippine islands) about a twenty-minute drive from the Dumaguete Airport. The latter being an hour flight from Manila. Atlantis Dumaguete is part of three Atlantis resorts: Atlantis Puerto Galera established in 1993, Atlantis Dumaguete in 2003, and Atlantis Azores, a liveaboard with four distinct itineraries, which was put into service about two years ago. Between Dumaguete and Puerto Galera, Dumaguete is said to be the more laid back resort with a slightly greater emphasis on muck diving. 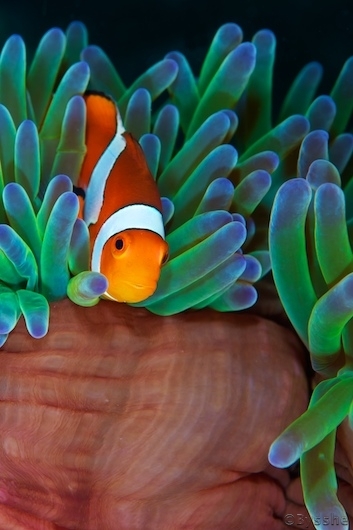 A check out dive on the house reef lets you get your gear and cameras organized. 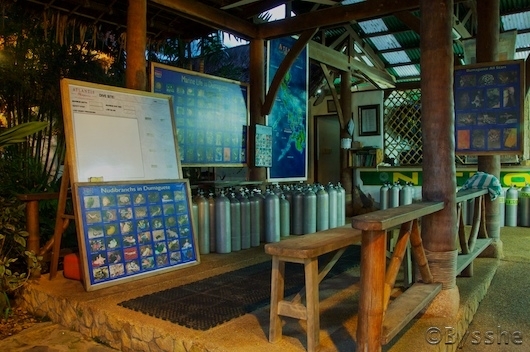 It also lets the staff know how you like your dive rig set up and that is how you will find it on the boats for every subsequent dive. You are responsible for double checking/ recording Nitrox mixes. Dive sites are along the shore and boat rides vary from five to 30 minutes. Currents fluctuate but generally are not an issue. 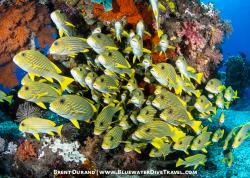 One guide per six divers allows for small groups at any dive site and photographers are generally given ample time to work a subject. The critters the guides found were sometimes so small that I wasn’t sure what I was looking at! Expect to spend a lot of time in the “muck." This can be real silty mud, fine volcanic sand, or heavy gravel. 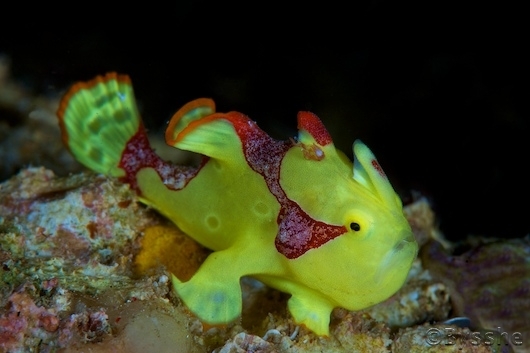 All serve as different habitat and will determine what animals you can see. In the heavier gravel we found four different snake eels. 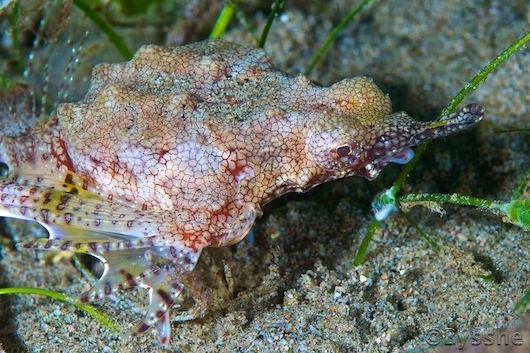 The finer gravel was the preferred site for finding the Mimic, Blue Ring and Wonderpus Octopus. Finally, in the more silty/grassy bottom we found waspfish, sea moths, frogfish, shrimp gobies, dragonets and pipefish. 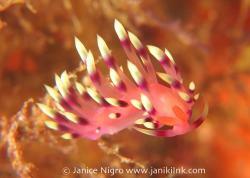 Various shrimp were in all locations as were nudibranchs. 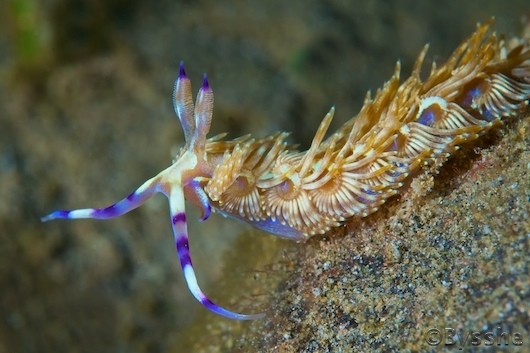 I stopped counting different nudibranchs after about twenty. 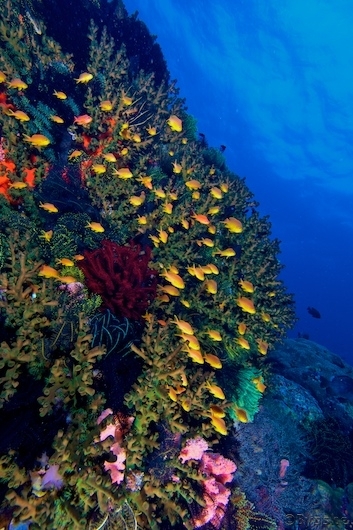 There are also sites with very healthy patch reefs. By far my favorite area was Dauin Norte. One day I dove it four times, exploring the muck outside the patch reef, the deeper reef and ended up at sunset on the shallow reef. It had everything you could want to photograph. I used a 60mm Macro with 1.4x teleconverter, a 105mm Macro with a +10 SubSee Diopter and finished with a 10-24mm wide-angle zoom. I would go back just for that site. 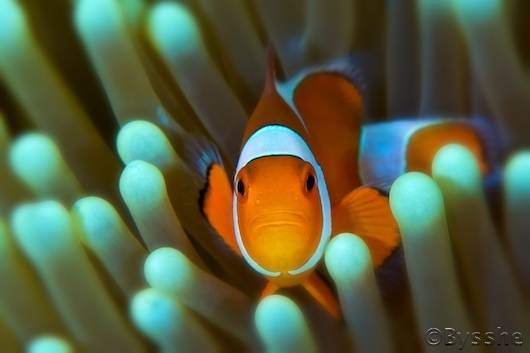 The myriad of tropical Pacific reef fish add to the photographic subject list, and the Mandarin night dive is a must. Depending on how long you stay, there is at least one all day, three tank dive boat trip on one of the larger “Outrigger” dive boats. Depending on weather and seas, this can be to Apo or Siguijor islands. Cebu and Sumilan constitute a longer, more unusual trip, which we did twice, because of whale shark sightings (and calm seas preceding the tropical storm). These are generally wide-angle photo ops, with coral walls, turtles, cuttlefish, sea crates, schools of jacks, and yes, rarely whale sharks. A barbecue lunch is served on the boat followed by a little music, a nap, and the third dive. All of my photos were taken with a Nikon D2x. My underwater gear included the items listed below. On the all day trips I would certainly take a dry bag for spare batteries, etc. It is reasonably dry on the larger boats to change out lenses but I stuck with one lens for each trip. 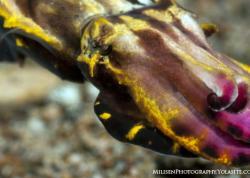 Dumaguete is an amazing place to try all things macro so whether you are shooting with a compact or DSLR, I would plan accordingly. Alex Tyrrell is the in-house photo pro. He has worked throughout the Indo-Pacific and is great with questions about DSLR or Compact gear. If you are new at underwater photography he has a course that includes full face masks so that you can converse underwater. 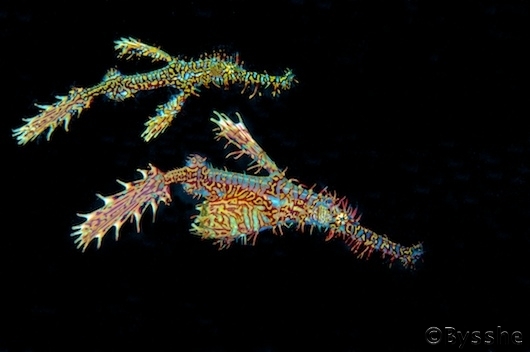 He also has a night florescent dive that will give you a whole new look at underwater photography. If you are interested, I would strongly recommend contacting Alex beforehand to discuss filters and lenses. Atlantis is an all inclusive dive resort. There is not a great deal for the non-diver. The narrow volcanic sand beach is lovely but snorkeling opportunities are minimal. Land trips are available to Dumaguete, the local market and inland waterfalls. If you have a non-diver in your group, bring books. As with everything, the staff is more than happy to help you in anyway they can. 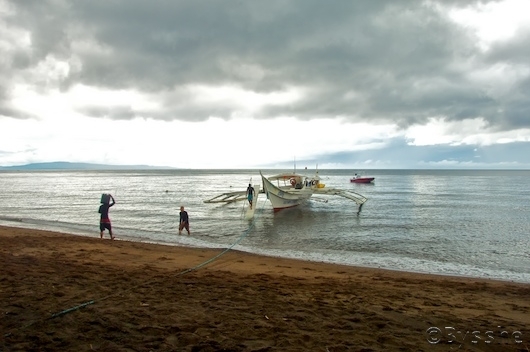 Atlantis Dumaguete should be on your short list of photographic destinations. 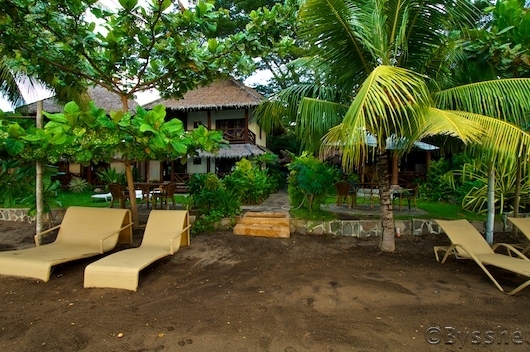 The resort and staff are there to let you concentrate on and enjoy your photography. That makes the hours of travel worthwhile. We used Reef and Rainforest for planning our itinerary in conjunction with the staff at Atlantis for the accommodations. Basically you have to get to Manila. For most of our group that meant a 14 hour flight from Washington D.C. to Seoul Korea, a 5 hour flight to Manila with a night layover, and the final one-hour leg to Dumaguete the next day. 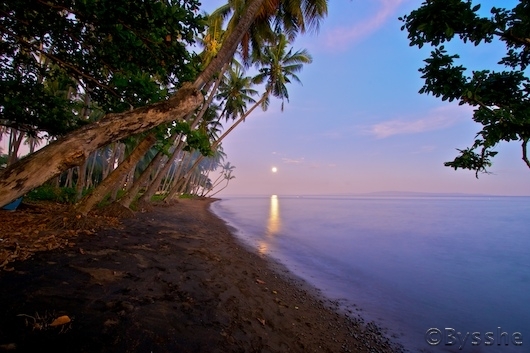 Moon Rise on the Beach. 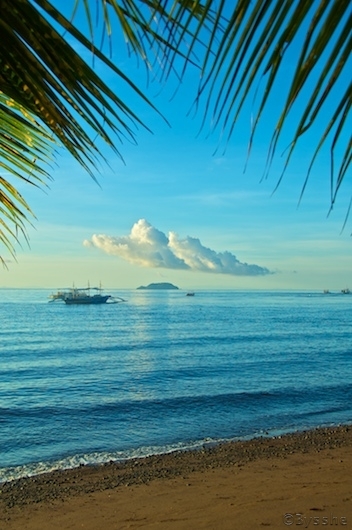 I cannot stress enough the advantage of letting the Atlantis group plan all your travel while in the Philippines. Manila airport is chaotic on its best days and Philippine Air or Cebu Pacific can be difficult carriers to deal with. Atlantis met us in Manila and ushered us through check in with boarding passes all pre-arranged. 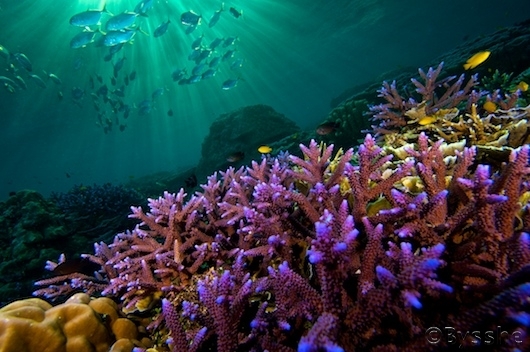 If you are traveling with full dive and camera gear, arrange with Atlantis to pay for the extra weight fees up front. This saves a huge amount of check in time. Layover times may look long but flights in and out of Dumaguete need a lot of buffer. There is no radar at the airport so flights are easily delayed/canceled due to weather. Thanks to the staff at Atlantis we left a half day early just ahead of a tropical storm that would have changed all our flights back to D.C.! 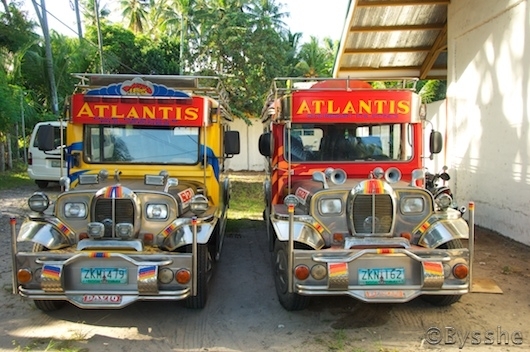 Again, let Atlantis handle your in-country travel, as it will save a lot of headaches. The best part after all the traveling is being met at Dumaguete Airport by a “Pimp-My-Ride” Jeepney. Once you arrive in Dumaguete, the only thing you will lift is the shutter release on your camera and your knife and fork. I have never experienced nor can I imagine better service at any dive destination. While the resort was not busy I spent some time talking with Gordon Strahan, one of the owners, and Richard Emslie, the manager. They assured me there is no drop in service even when the resort is maxed out with 70 or so guests. Expect to be greeted by name from day one and considered one of the family throughout your stay. All meals are included, with multiple choices at each sitting meeting all needs. You will not be disappointed. The dive area is well organized with assigned cubbies and lots of rinse tanks. A large rubberized rinse tank is set up for photo equipment. 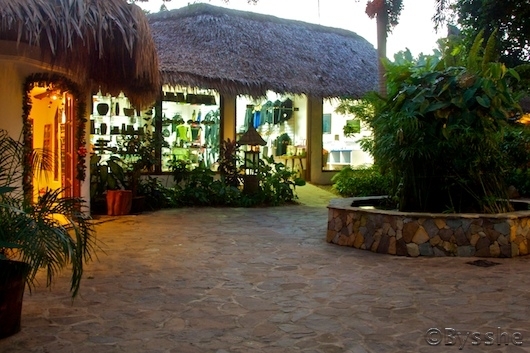 Attached to the lobby and gift shop is an up-to-date air-conditioned camera room. Each station has compressed air for drying housings and plenty of space (and outlets) to accommodate chargers and laptops. Downloading images and changing lenses between dives couldn’t be easier. Office, gift shop, and camera room area.